Errol: I have a new character, one of the few new characters this year. I figured I would keep it simple, and not go too crazy on how many people I should introduce. I’m in the process of front-loading all the comics, because I will be on a plane on thursday. This entry was posted in 2013 and tagged rajni, rob. Bookmark the permalink. Ha! Spin-doctoring FTW! Come on Rob you can do it! Nanotoons always make my day! 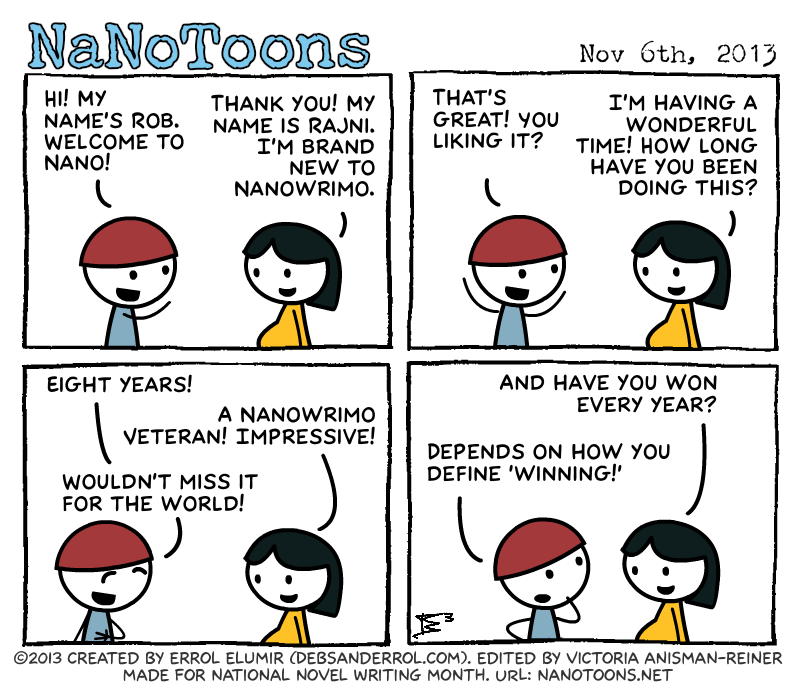 It makes NaNo (an already awesome time) even more fun. Hum…at first I thought she had really large…well, it took me awhile to figure out she was pregnant. LOL Nice drawing, Errol.